Pantheon: Rise of the Fallen is an MMO presently in development by Visionary Realms and EverQuest co-creator Brad McQuaid. Their goal is to rekindle the socially charged gameplay that feels forgotten in modern MMOs. 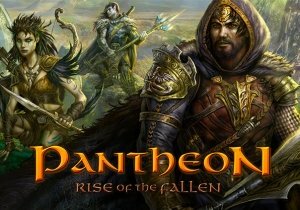 After months of development, they are welcoming in hundreds of playtesters and fans and offer some details on their website concerning Pantheon: Rise of the Fallen. Their development blog, found below, shows off a summary of progress thus far, and a variety of new concept art. Players invited to the Pre-Alpha that starts this week had previously purchased a pre-launch package entitled “Originator Package”, which is still available at this link, but it will no longer include Pre-Alpha Access after December 20th.